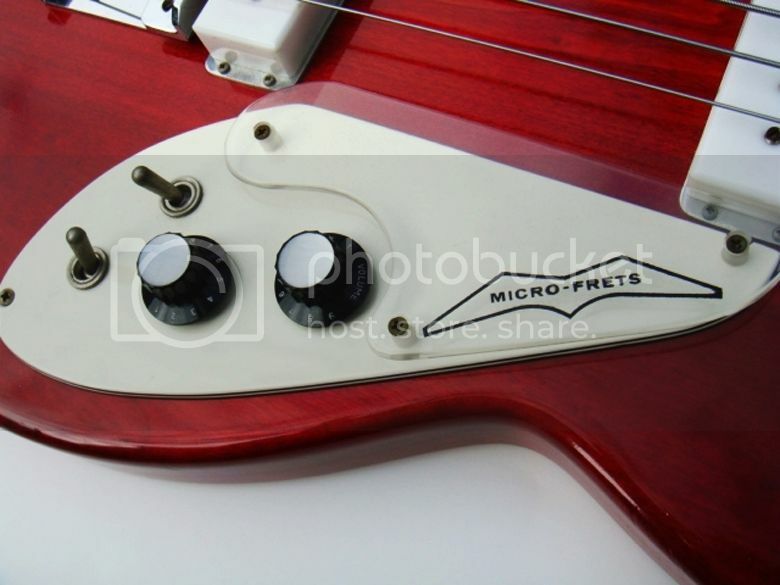 Here at Guitarz, Micro-Frets is one of our favourite "forgotten" American guitar manufacturers. We've written plenty about this innovative company before (and their most innovative guitar must surely be the Orbiter) but we haven't previously looked at any of their bass guitars. 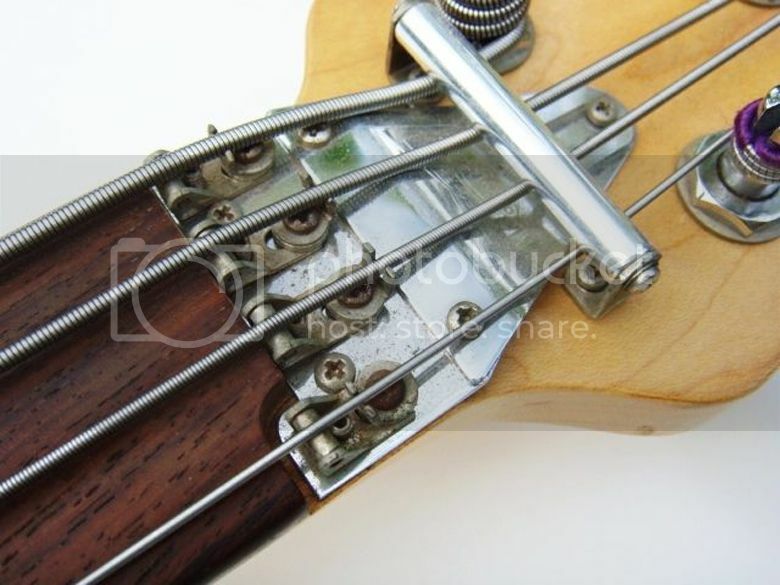 This particular example is a one-off Micro-Frets Signature short-scale fretless bass made for an employee of the company in the early 1970s. 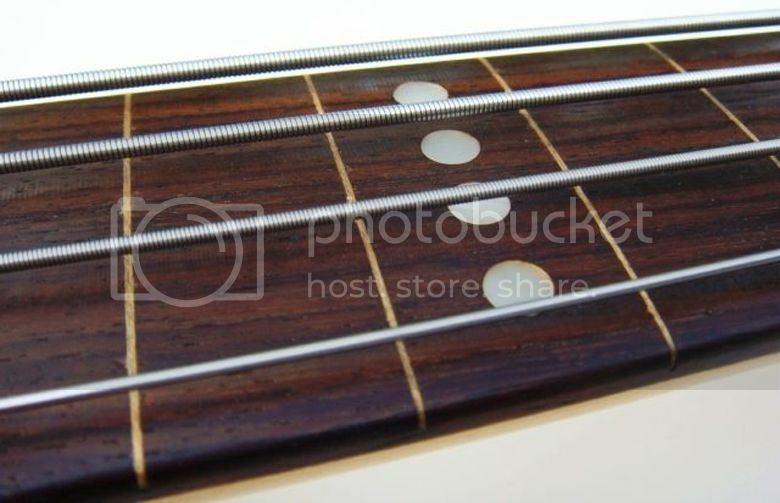 Note the compensated nut in the above photos, an original Micro-Frets innovation from long before Earvana "re-invented" it and claimed it as theirs. Currently listed on eBay with a possibly optimistic Buy It Now price of $1,750. © 2013, Guitarz - The Original Guitar Blog - the blog that goes all the way to 11! Please read our photo and content policy. My local guitar tech (who has worked on thousands of guitars and basses) is also a bassist with a rock/blues band. He has TWO Micro-frets basses and he loves them. I forgot something important: Microfrets fretless!!! Frets so micro they don't exist. Bought my stage 2 longscale bass in around 1990 for $199! Greatest bass ever! 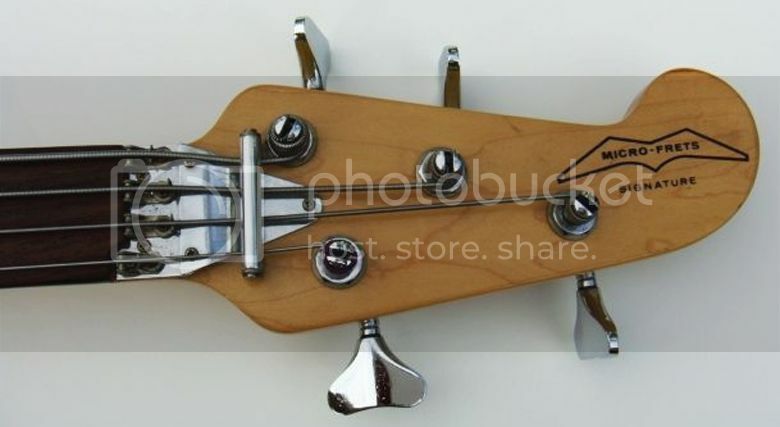 WEIRD guitars, bizarre guitars, wonderful guitars, vintage guitars and the very best of the online auctions! Now on Facebook - please "Like"! Please read the small print, copyright issues, use of photographs, etc. guitarnerd... awesome vintage guitars, australian made guitars, guitar pedals... basically everything that is cool about guitars! Andy Stone & His Guitary Creations. Last day for the amp sale - Tomorrow is the last day for the amp sale. There are a few great deals left. No name Baritone Electric guitar with 4 pickups. 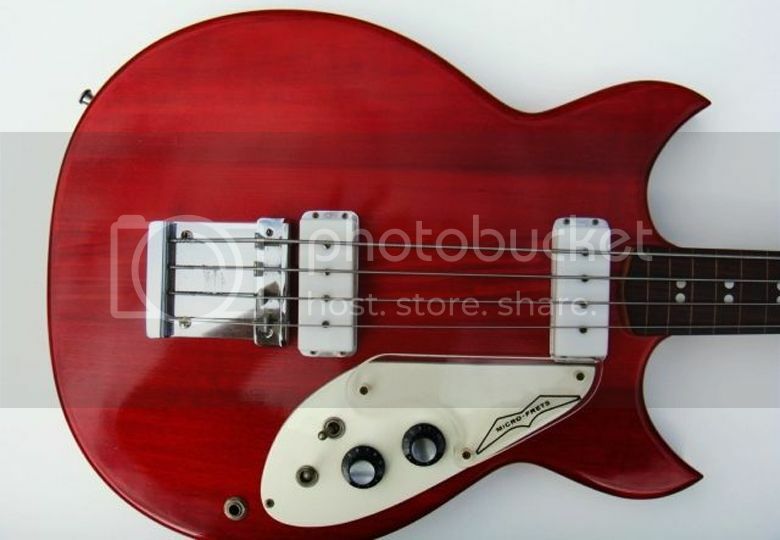 What is this guitar? Missing ABBA Star Guitar is a Malmberg! I'd like to thank Goram Malmberg for all the extra information about this guitar. Please see the now updated article below .